Bullying is unwanted, aggressive behavior among school aged children that involves a real or perceived power of imbalance. A bully uses their strength, teases, or threatens to hurt someone or take what they want from them. 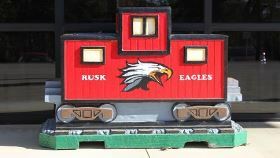 School Safety is a priority at Rusk ISD and we take bullying complaints very seriously. No student should have to deal with harassment or bullying that affects their ability to learn.